A. Once your auction has finished, as long as the individual auction has been paid for, you will receive your payment on Friday of that current week. Payments are made by direct transfer into your bank account (so new customers will need to supply sort codes and account numbers) and you will also receive an email with a remittance invoice receipt to let you know how much has been paid into your account. A. At Elimar Pigeon Services, we aim to work with a 3-day turnaround system. 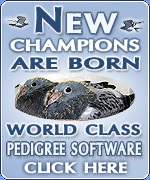 We ask that all winning auctions be paid for within 3 days of the listings finishing, thus helping to get the pigeons collected and delivered quicker to all buyers and helping to pay vendors as soon as possible. Please Note: We understand that a lot of pigeon fanciers bid on other auctions, that don’t necessarily finish within 3 days of winning closed auctions, all we ask if you can please call Elimar to keep us informed, then we can make a note on your file and we don’t chase payments. A. You can bid on as many auctions as you like but we do require payment in full if you have 6 winning auctions outstanding before you can bid on any further live auctions. A. The most common problem people have when trying to upload images onto the auction listings is that your image is too big for our server to accept. The easiest solution is to reduce the size of your photo’s (as per instructions below) then upload them. Click here to see How to resize my photograph instructions. A. Yes you can add a maximum bid to any live auctions. If you do not want to keep logging onto the auction site and topping your bid up if you are constantly being outbid, you can add a maximum and the system will chip away until the auction has finished. e.g. If an auction is on £200.00 and you put a maximum of £500.00 if will chip away and if the auction finishes at £250.00 and you are the winning bid, that is what you will pay. Q. I have won an auction, how do I pay? A. You either pay online after the auction has finished or you can ring Elimar and we can take payment over the phone through Barclays online payment system. Barclays Bank, Wheelock Street, Middlewich, Cheshire. Can you please also make sure that you provide us with the ID Number of the winning auction which can be found underneath the list of the pigeon – See Below.